When choosing the right garage door for your home, it is important to keep three things in mind when making your decision: quiet operation, power, and drive type. Below we will outline a little more information about each of these garage door considerations. 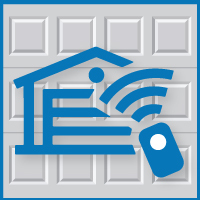 Garages adjacent to bedrooms or living areas, a quiet garage door opener may be important. Look for garage door openers ones constructed with dependable, quiet operation in mind. Your garage door opener must be able to handle the height and weight of your new garage door. Most garage door openers have 1/2-HP (horsepower) motors capable of handling most residential garage doors. Quiet operation depends mostly on the type of operating mechanism or drive that’s used to open the garage door. Four types of drives are available: belt drives, direct drives, screw drives, and chain drives. Belt drives use a sturdy rubber-like belt (similar to a car’s fan belt) to open and close garage doors. Direct Drives, though relatively new to the US, have been available in Europe for around 30 years. These units feature a moving motor that drives itself along a stationary chain. 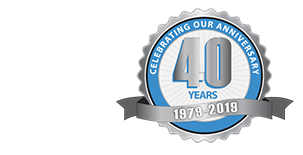 We are now offering a free garage door opener upgrade for new garage contracts in the Chicagoland area through June 30, 2014. And not just any door opener, the hugely popular LiftMaster Premium 8360 with MyQ Technology. Click here to learn more.